The Vibe Savoy Melbourne is one of only eight Vibe hotels in Australia, but it is part of the larger TFE Hotels group which incorporates familiar brands like Adina, Rendezvous and Travelodge. The Vibe’s distinctive heritage façade on the corner of Little Collins & Spencer Sts (directly across from Southern Cross Station) makes it hard to miss. Getting to and from the Vibe couldn’t be simpler as trains, trams, taxis and the Melbourne Skybus are all virtually on the doorstep. Melbourne is a very walkable city and Vibe’s central location means everything in the CBD is within easy reach. Rooms start at around AUD$150 a night which is excellent value for a 4½ star hotel of this calibre. 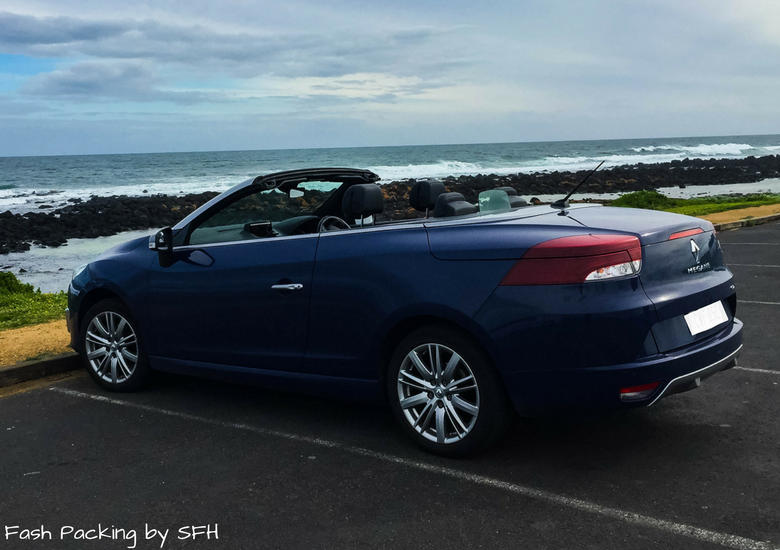 If you are heading to Melbourne with your BFFs make sure you check out my suggestions for the ultimate girly weekend before you go. Once inside the ornate front doors you are greeted by a light, bright, welcoming lobby that is unmistakably influenced by days gone by. The art deco inspired cornices, marble floors and geometric wall art create a feeling of nostalgic elegance. The grand piano makes a wonderful centerpiece and we saw a few guests tinkling the ivory’s as we were coming and going. Tucked inside one corner of the lobby is the Alexander Bar which was very popular with guests come 5pm. 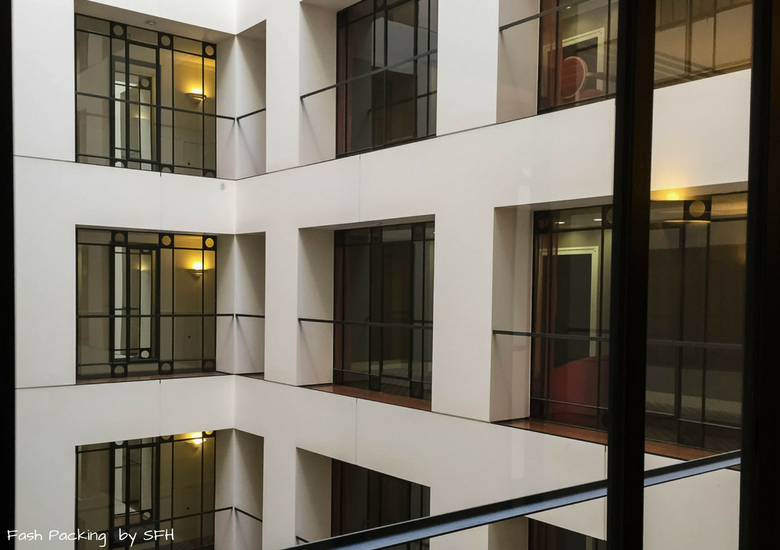 The 163 guest rooms and suites at the Vibe Savoy Melbourne surround an internal atrium that runs through the centre of the building to ensure the internal corridors and inward facing rooms are still bathed in natural light. The communal spaces on the guest floors continue the art deco theme with leadlight window reminiscent of the era. 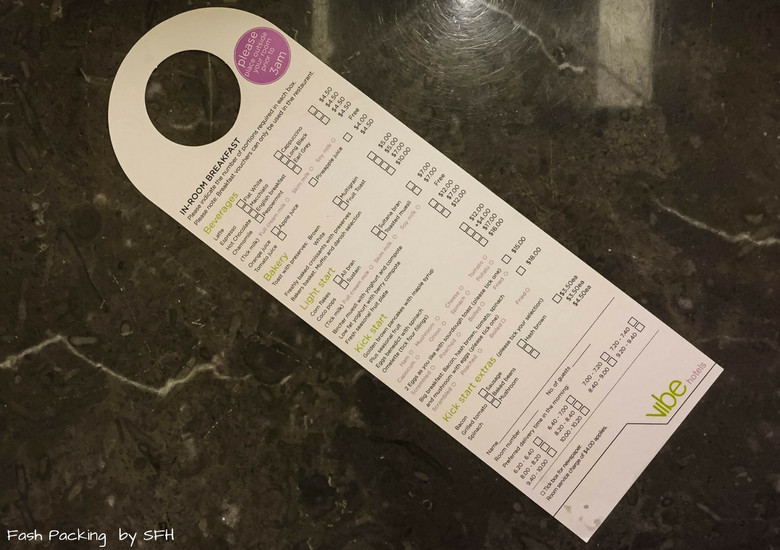 We were in room 719 at the Vibe Savoy Melbourne and our immaculately clean home for the night offered everything we needed for our short stay. The king sized bed that dominated the room was a little firmer that I would prefer but I was thrilled when the pillows pleased my fussy husband. While there was a generous window in the room we were not blessed with a view as our room opened to the internal atrium. The thick functional curtains did a fabulous job of blocking out the early morning light meaning we had a lovely sleep in. The was one thing I thought was rather odd, the television was inside the wardrobe to the side of the bed which made getting an unobstructed view tricky. The Vibe Savoy Melbourne is popular with business travelers and to cater to the corporate crowd there is a compact desk provided. Those looking to clock some serious hours at a virtual office would be wise to consider upgrading to the high-speed internet at a cost of $9.95 per day as the free wi-fi is woefully slow. I tried hot spotting off my phone but this didn’t produce any better results as the signal strength was very weak. Luckily we were not in the room for long enough for this to be a real issue. The compact bathroom’s clever design meant every inch of space was maximised to its full potential. I particularly liked the recessed shelves for the complementary toiletries so that they didn’t occupy precious bench space. I’m not a fan of a shower over the bath, but I was pleased to see a glass screen rather than a shower curtain which is often the case. The shower spout was high up and didn’t offer much adjustment so showering without getting my hair wet required contortions. This probably wouldn’t cause much grief to most and The Hubs was completely unconcerned with his practical buzz cut. 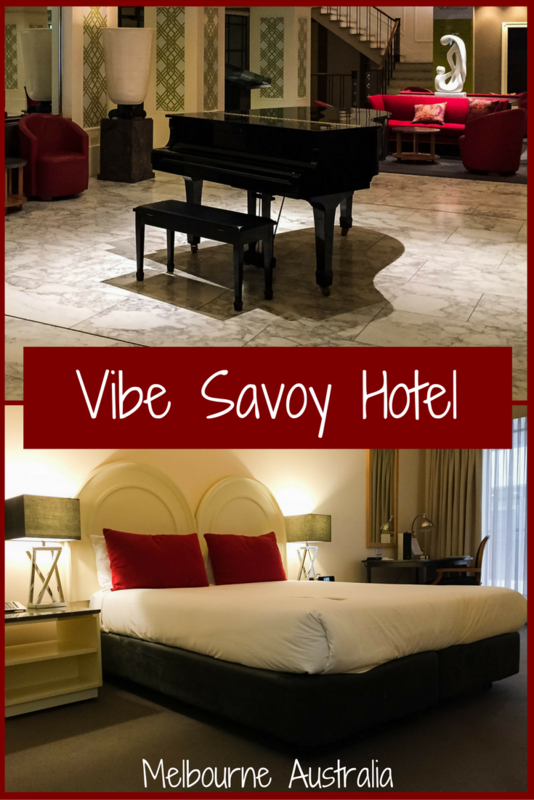 Given our short stay we were not able to try all the facilities available at the Vibe Savoy Melbourne. If you have a little more time on your hands try Curve Restaurant (level 2), Alexander Bar (ground) or the gym (level 3). A variety of conference rooms are also available for hire. Of course 24 hour room service is available and I was very pleasantly surprised by the prices. It’s a rare city hotel that offers a full cooked breakfast for $18. Nice one! If the onsite restaurant is not to your liking why not order in from Menulog from a selection of 194 restaurants or check out my review of Mercadante Wood Fired Pizzeria in nearby Lygon St. We chose to hire a car while we were in town from Airport Rentals Airport Rentals and were thrilled to get a free upgrade to a convertible! The Vibe Savoy Melbourne can organise valet parking at an additional cost. If you prefer to park yourself there are two parking stations close by (Lt Collins St and Spencer St) which will save you a few dollars. 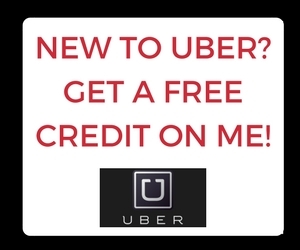 Parking in front of the hotel is strictly limited to a 10 minute drop off but metered is available on the next block which allows up to two hours except on Sunday when it is free. 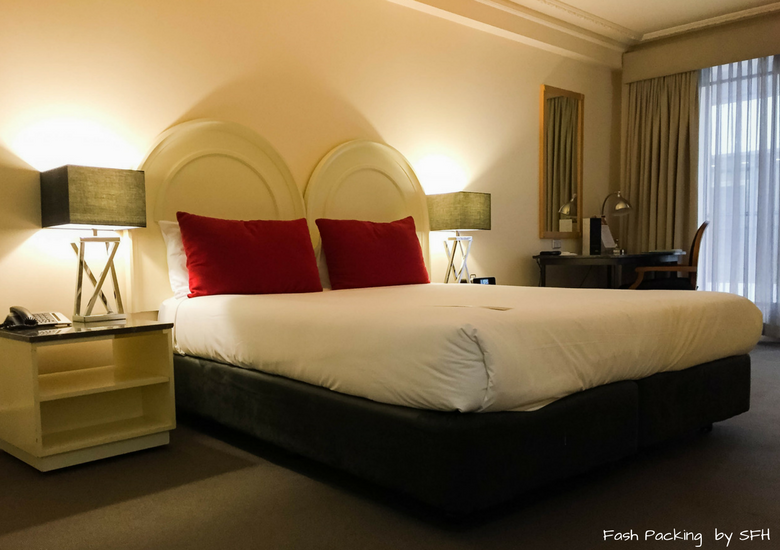 The Vibe Savoy Melbourne was perfect for our one night stay. The location was central and virtually everything was in walking distance. 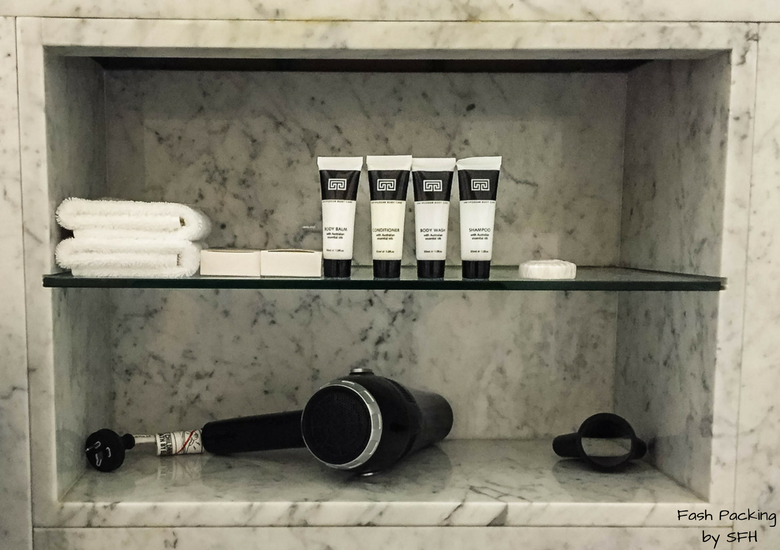 I was particularly pleased with the character of the hotel, the cleanliness and the exceptional value. If you are still not convinced scroll through over 2900 TridAdvisor reviews from people just like you. 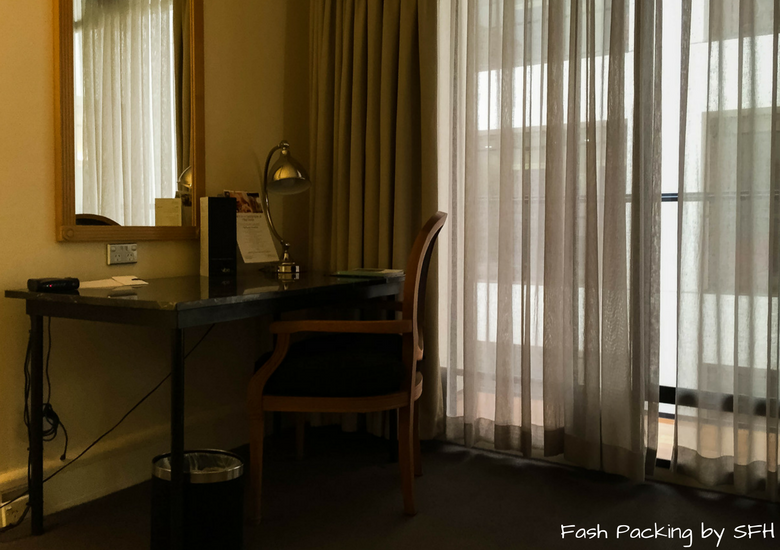 If you are looking for something a little flashier check out my review of Crown Towers Melbourne Deluxe Villas. I always use Agoda to get the very best deals on hotels. Make sure you look out for the specials! 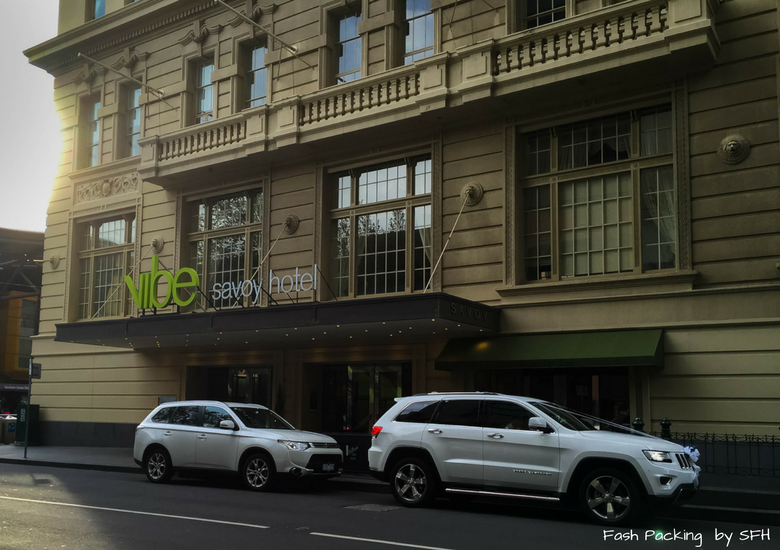 Have you stayed at the Vibe Savoy Melbourne? I would love to hear your thoughts in the comments below. Disclaimer: This post is not sponsored. 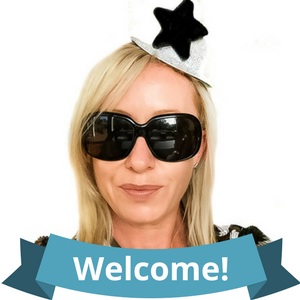 I paid for my stay at the Vibe Savoy Melbourne in full and as always all opinions are my own. 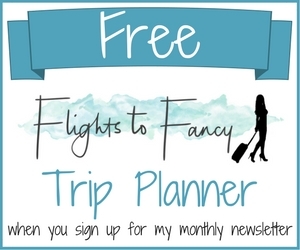 Some links are affiliate links which may earn me a small commission. Apart from location, I always look for a reliable wifi connection because of work. I prefer fast wifi inclusive in the price, but since this hotel is quite affordable for its amenities and location, I won’t mind paying extra for an 24hr internet access. 🙂 Good that the pillows pleased the hubs! Stuffy-smelling pillows is one of my pet peeves! You know Sarah I never have issues with Internet in hotels overseas. I’m not sure why Aussie hotels are lagging behind bit seriously it is time to up there game. No one would notice if they charged $10 extra a night for the room and included it but when it’s an ‘extra’ it’s just annoying. That grand piano in the lobby is an absolute dream! I’m surprised they were allowing guests to play! Any hotel I’ve been to with a piano in the lobby has been sectioned off with a sign to the likes of “Do not touch piano” on it. And good tips with the WiFi and the shower head. I would likely be a contortionist in the shower too. Unless the front desk had some complementary shower caps! You know they probably did have shower caps but I didn’t look and it was too late once I was in lol. I never remember to look for shower caps. I’m not sure if the kids were allowed to play or not but no one kicked them off and it was kinda cute ? The Vibe hotel looks delightful and a place we’d like. I agree with the shower curtain, It’s much nicer to have glass doors. Location is pretty key sometimes when your away to have easy access to get around and like that the location is central. I often wonder why greedy hotels up the price just cause they can when there is an event because they know either way they will be filled. Seems just wrong! I agree with Faith, charging $10 for a service that’s free in most coffee shops is absurd! 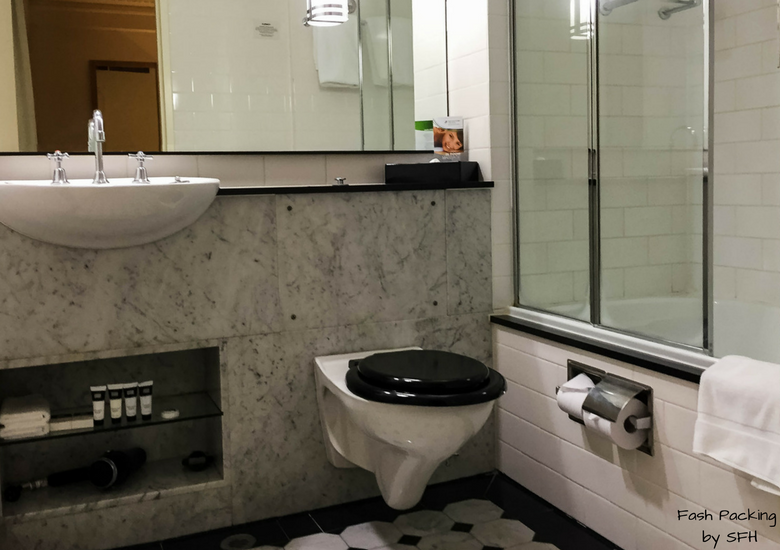 I don’t know if I’m being overly miserable today, but those little things you pointed out – unhelpful TV placement, having to perform shower yoga and the extortionate wifi… they’re all the little things that a 4.5 star should be nailing. 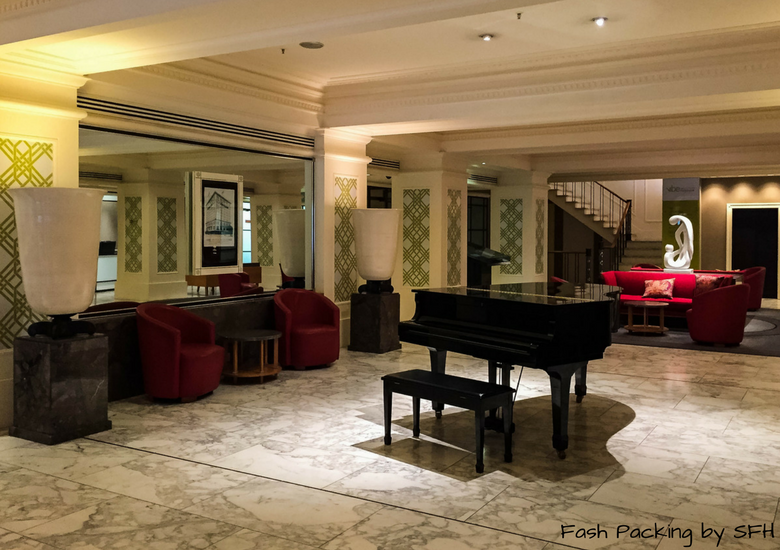 You expect them in a backpackers hostel… not in a super swanky hotel. Yep charging for Internet is one of my pet peeves. I always look for a hotel that has free wi-fi and while the Vibe did it was just woeful. You would probably be able to get by just to check email but if you are browsing the net you are going to be there a while. This only seems to be an issue in Australian hotels as I’ve never had issues overseas. The most important thing in a hotel is the location. Good thing it is central. I think I would only chose a further hotel or inconvenient location only if it is a tremendous nice hotel! I agree Mimi. Staying further out can cost more in the long run away by he time you factor in transport in and out of the city. I like how the outside is more traditional-looking and the inside is art deco design. Kudos to Vibe Savoy for not increasing their prices during such a profitable event! Exactly Lydia! The place I usually stay was charging triple what I normally pay and there was no way that was going to happen! So happy to have found the Vibe ? 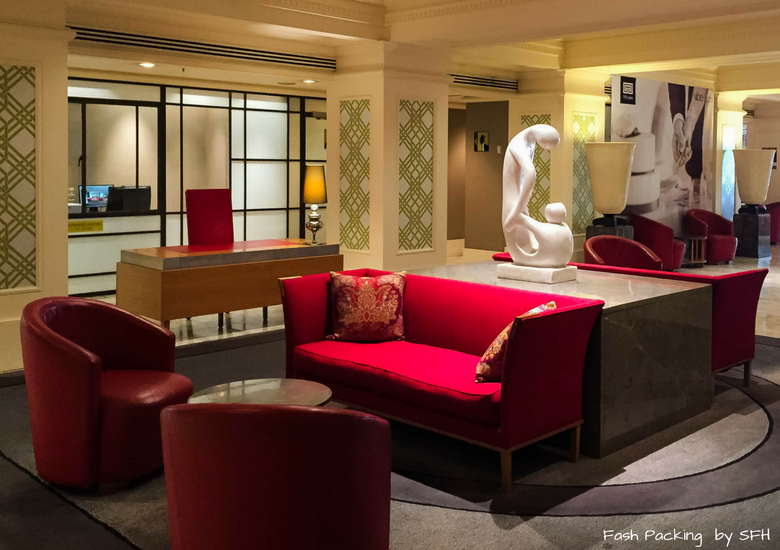 Its amazing how the heritage facade hotel encloses an elegant and modern styled interior. A piano in the welcome lobby sounds welcoming but does someone ever play it? The TV thing was weird luckily we spent so little time in the room it was not an issue. The lobby was very nice and it was so cute to see kids playing the piano. It looks like a lovely hotel and I am a huge fan of the deco look. I was surprised by the cost of high speed internet, hard to believe in this day and age that hotels are charging for this service. I have been to major cities like New York, London, Toronto, Mexico City and Dublin and not one hotel charged for decent wifi, I hazard a guess that they cannot pass up the kind of business that brings in. Mind many major cities now in North America have free wifi in all their downtown areas from parks to coffee shops. Australia is well behind the times on free wi-fi in hotels it drives me nuts! And when it is free it is usually sooooooo slow like here. Honestly I could not even have two pages open at once. We have crap internet in general but there is no excuse for the high charges.